Greetings from the 2 little ones! And pretty Flags done by Dawn Jie Jie! 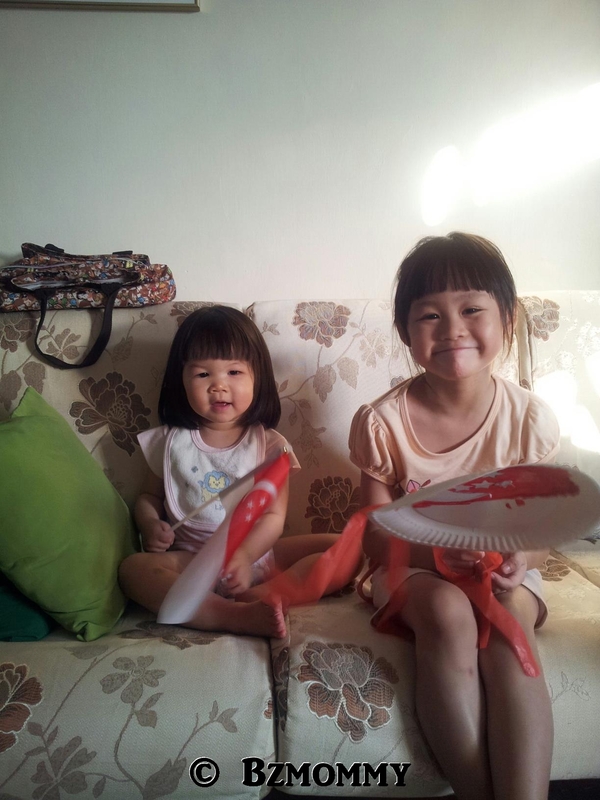 This entry was posted in Bzmommyhood, Dawn, Eva, Singapore and tagged Dawn, Eva. ← Disney Junior Exclusive Preview Screening : Doc McStuffins is coming to Singapore!